Cowls, cowls, cowls! I can’t get enough of them. They make my life easier and that’s always a good thing. 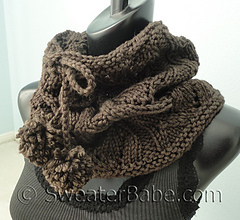 They are often seamless knitting projects too, which is definitely a great thing! 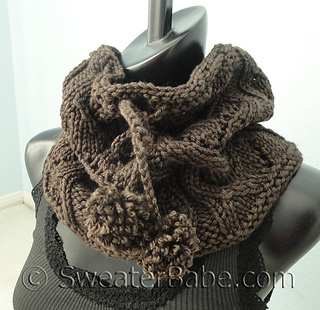 This one is nice and easy to wear. 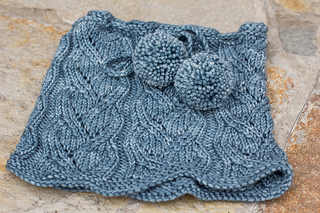 Knit in the round with pretty lace panels. 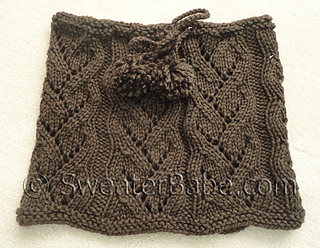 Finished top and bottom with rows of neat Garter st. Eyelet holes along the top to thread the drawstring. 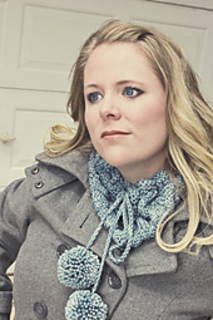 Optional pom-poms to embellish the drawstring ends and add a little whimsy. 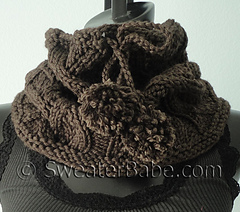 The drawstring makes the cowl’s fit adjustable to your daily moods.